This is so darling! 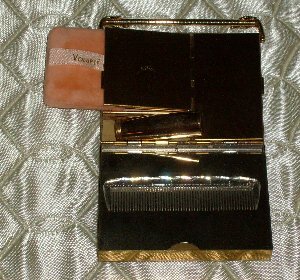 A little evening purse that holds lipstick, powder, even has a mirror and a comb! 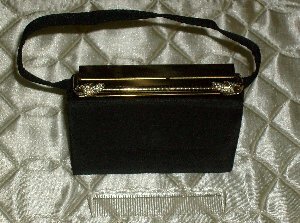 The purse is made of brass, gems on the handle, hard outer case - even has a powder puff still inside - pre-used. 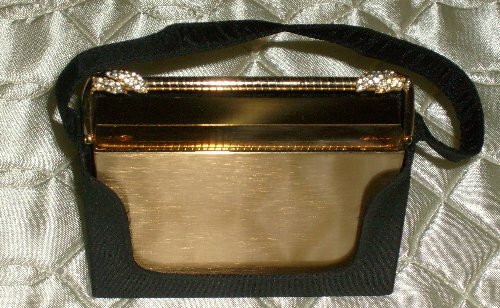 Size is 4 x 4 1/2 with brass handle extended - add a few more inches to the height for the case strap. A wonderful collectible!